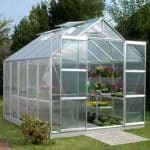 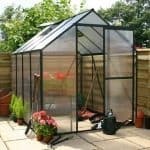 This 8 x 6 silver apex greenhouse looks amazing, first and foremost. 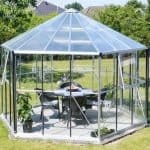 It will bring a real touch of sophistication to your garden with it’s gleaming exterior. 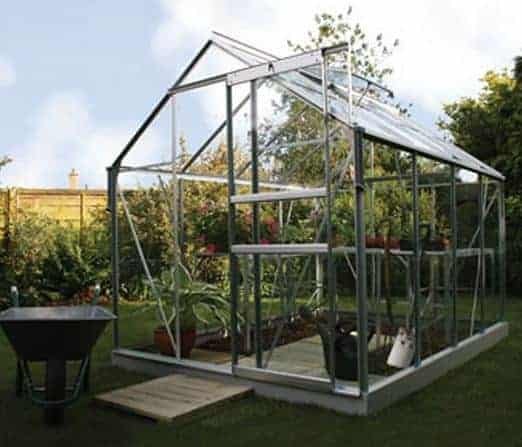 The frame is anodised aluminium, so you have a completely rust-free frame for your peace of mind. 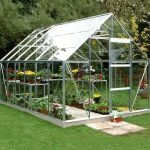 The sliding door on the greenhouse can be placed on either end of the construction, so you have some choice and practicality there. 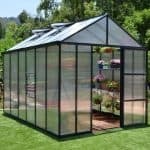 An opening roof vent is included so you can easily bring in ventilation when you need it. 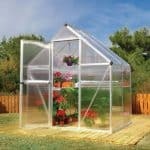 One of the best features is the integrated gutter system, which actively takes rainwater away from your plants.